There are many things that make a person unique, and one of them is their fears. Whether it is a fear of spiders or a fear of heights, there are many fears that people have, and no matter what, they may feel as though they can never overcome them. 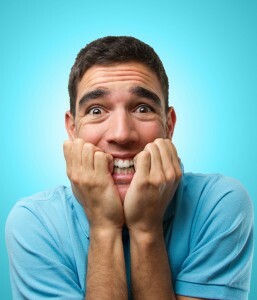 A common fear that people share is a fear of the dentist. Though for some the fear is mild, for others, the fear is crippling, preventing them from getting the much needed dental work they need performed. Because our doctors understand this fear and want to help their patients, they offer sedation dentistry at their Toledo, OH dental office. There are many ways we are able to help our patients relax. One of the options for our sedation dentistry is nitrous oxide (laughing gas). When inhaled, the nitrous oxide will help you relax during your dental appointment, as well as eliminate the pain as your dental work is being performed. Also, with this form of sedation, as soon as the mask is removed, the effects of the nitrous oxide subside, so you are able to drive yourself home after your dental work! Another option for our patients is the oral conscious sedation. With this, you simply take a pill before your appointment, and this will help you become more relaxed and calm before your dental work. Unlike the nitrous oxide, you will have to have someone you trust drive you home after your appointment, as the effects from the sedation will still be in effect. IV sedation is a more personalized and customized form of sedation. We inject the sedation intravenously, and we will be able to closely monitor how much sedation we give you. Our main goal is that you remain cool, calm, and collected at all times while you get your dental work done, and we are willing to do anything to make that possible. 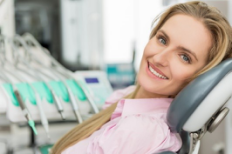 If you feel as though sedation dentistry is able to help you overcome or face your dental fears, make an appointment at our office, and we will be glad to help!